Unless you have been living somewhere under the rock, you have probably already heard (a lot) about protein supplements. After all, in the past couple of years tips and tricks on nutrition and supplements have flooded the internet, and the market. If you, despite all the available information these days, still feel confused and distracted, we totally understand. The overload of information, especially around health and nutrition, makes it extremely hard to understand what info is valuable, and what is a “total waste of money”. First and foremost, you don’t have to buy and take protein supplements. The products are called “supplements” for a reason. Protein shakes and other, similar products are usally taken to help you accumulate more protein throughout the day, but supplementing only makes sense if your daily protein intake is inadequate. Most people can easily ingest enough protein through solid food (especially everyday gym goers who tend to eat more meat or protein rich food in general). On the contrary, professional athletes can burn up to more than 7000 kcal daily, and reasonably need liquid supplements to replace the energy losses (eating solid food in those amounts gets pretty challenging). But we will stick to those everyday fitness enthusiasts which on average train up to fives times a week and live the sporty life next to a full time job. 2 What are protein supplements? 4 Why, how much and when to take protein supplements? 4.1 More importantly, set an amount and try it out for two weeks. 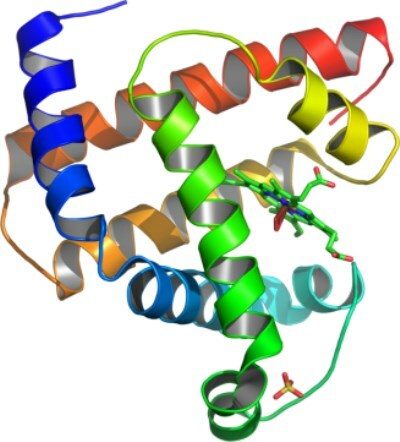 The chemists would refer to protein as large biomolecules consisting of one or more long chains of amino acids. Amino acids are the smaller compounds and are the building blocks of protein. Proteins are involved in various bodily processes including metabolism, DNA replication, transport, structure and practically every process within cells. Some proteins are enzymes, meaning they catalyse (accelerate) biochemical reactions which are crucial for functioning of our metabolism. Others have a structural role, like actin or myosin in our muscles. Proteins, ingested through food, are also needed to provide essential amino acids which cannot be synthesised by our organism. Protein rich food include meat, dairy products, eggs and plant based protein such a quinoa, beans, soy, lentils… If we sum up the upper description, having proteins in your daily menu is essential. Protein supplements are nutrition products which in its structure contain a larger amount of protein. Nowadays any product with 20g of protein (per 100g of product) is already called a protein supplement. But in general, whey, casein and other similar products include at least 80+ grams of protein (again, per 100g of product). Most often protein supplements come in form of powder, like whey, casein, beef and various plant protein powders. Powders usually come in various (creative) flavours, from triple chocolate brownie to cheese cake creamed flavoured proteins. Their sole purpose is helping you add up more dietary protein to your daily diet. Powders became very popular because they are easily and quickly ingested: mixing 30 grams of powder with 3 dcl of water is much more easily ingestible (especially right after training when our stomachs can be a little upset), than eating a big steak or a few eggs. The body digest powders much quicker than solid food, and most people would argue that’s their biggest advantage as the body needs protein right after exercise (and as fast as possible). However the modern theories are much more humane and claim what matters more is the common protein intake at the end of the day (and especially end of the week, month, year…). Apart from the powder, protein supplements also come in other, more commercial forms; bars, cookies, pudding, pancakes, even popular sweets such as Snickers and Mars now have a protein version. Whey protein is probably still the most popular supplement on the market. It’s also the most affordable. Whey protein comes from milk, and is supposed to be the healthiest version of protein supplements. While its price and functions are greatly celebrated, the lactose content can cause quite a “mind shift”. A lot of people switch to other sources as whey tends to irritate their stomach and digestion. Whey protein can come in different forms: concentrate, isolate or hydrolysate (with concentrate being the most popular). The difference in these three is the carbs, and lactose, content: while concentrate still has up to 10-8 grams of carbs (per 100g of product), isolate or hydrolysate are fairly clean and especially popular among users with sensitive digestion. Casein protein is the other form of milk protein, known as the slower digesting component of milk. This means the body needs longer time to break down and digest the powder. 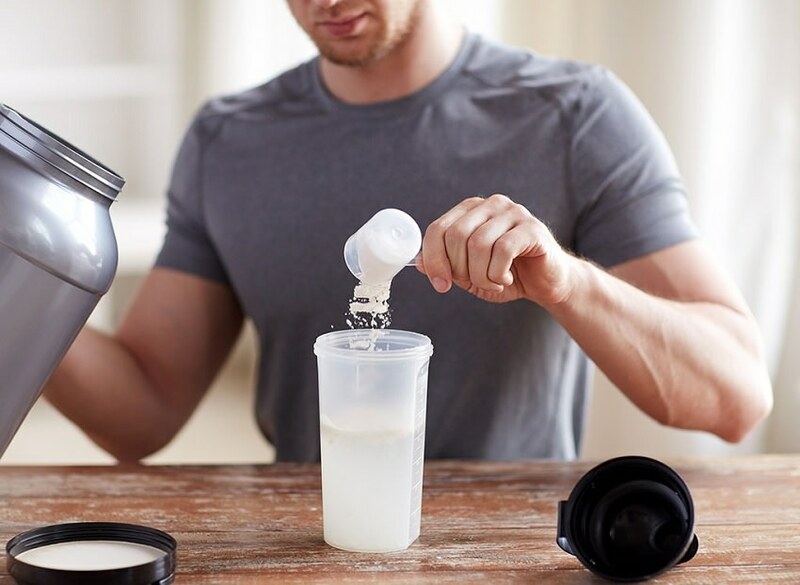 Opposed to whey, casein is gel forming and supplements often come in form of a pudding (instead of liquid), and taste much better than whey (due to more carbs). Though they are still more expensive compared to milk protein, beef protein powders are gaining popularity, especially in the past few years, with its more pleasant effect on the stomach. They are slower digestible than milk protein, but contain no carbs. With a vegan and vegetarian trends rising up on the nutrition market, plant based protein powders became one of the most popular nutritional supplements, and made their way out of the fitness world into the life of an average non-athlete human. Plant based protein powders can come from various sources with rice being on top of the popularity list. Other sources include soy, hemp and pea. Why, how much and when to take protein supplements? Let’s say it this way: if you can afford supplements and are craving to try them, do it. There’s no good answer when is the best time to take protein. Every meal should contain some. So if your lunch consists of carbs and fats only, add 20g of protein powder next to it. If drinking a shake right after training makes you feel better, drink it. But add a form of carbs, like a banana. What matters most is the overall protein intake at the end of the day. How much? It depends on your age, activity level, job, health, lifestyle and after all, your taste buds. The suggested daily intake ranges from 1.0 to even up to 2.2 grams of protein per kilogram bodyweight. The middle value around 1.5-1.7 would probably be the wisest choice. More importantly, set an amount and try it out for two weeks. Pay attention to how you feel the next day after training: if your body feels washed out, sleepy and weak, the amount of protein you ate the days before probably wasn’t adequate. In any case; find protein you like, or enjoy eating. Protein supplements especially come in handy for people who don’t like meat or animal products. But keep in mind that performance or health won’t improve without adequate nutrition, enough sleep, smart training, rest and some socialising. Question: What is your favourite form of protein? Do you even take protein supplements? Leave your answer in the comments below.